…do as the Europeans do! But of course, be mindful of yourself and your belongings. So, for this edition of Touringkittyps, here are five important things you should be doing when in Europe. Always bring your passports. Especially that you are not within the jurisdiction of your own country, it’s best to have your passports with you wherever you go. Know your train or bus number and stop. They come in almost the same names, like in Italy, Venezia is not the same as Venezia S. Marco and Venezia Mestre. So read, listen, and be alert! Likewise, trains or undergrounds have a PA system, so make sure you know your stop and listen to the announcement in order not to miss it. 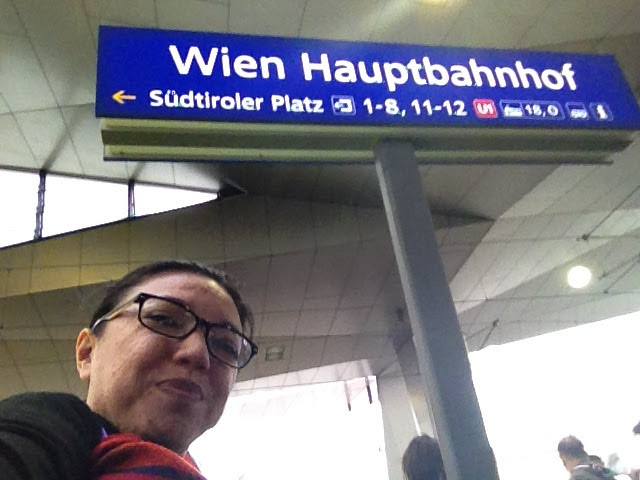 Wien Hauptbahnhof = Vienna Central Train Station. Wear comfortable clothes and shoes. Almost every tourist spot can be visited by foot, so expect a lot of walking. Watch out for cobblestones, so best to wear flats or sandals than heels or stilletos. Keep your clothes light, but always bring a hooded jacket, you’ll never know when it will be cold or raining. 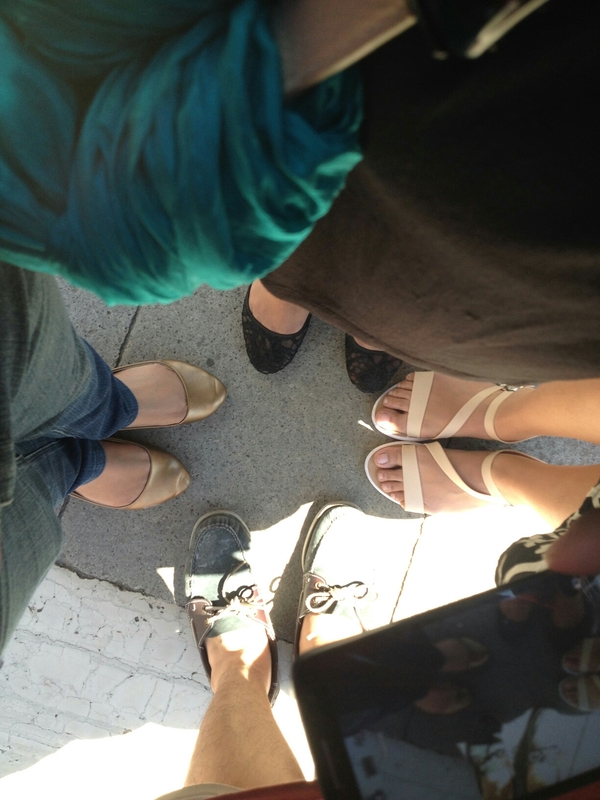 Flats and sandals are the way to go. Learn a few helpful phrases in each country. There may be instances that the locals will not converse in English, so better know how to greet Good morning/afternoon/evening, Please, Thank you, How much is this (especially when shopping for souvenirs). Speaking of souvenirs, buy one thing that would remind you of the city/country you visited. In my case, magnets or a shirt or whatever local produce they have, like food. I also make it a point to eat local food as much as I can. So even when I would want to save and opt for McDonald’s (which is also expensive, by the way), I try to look for local food. 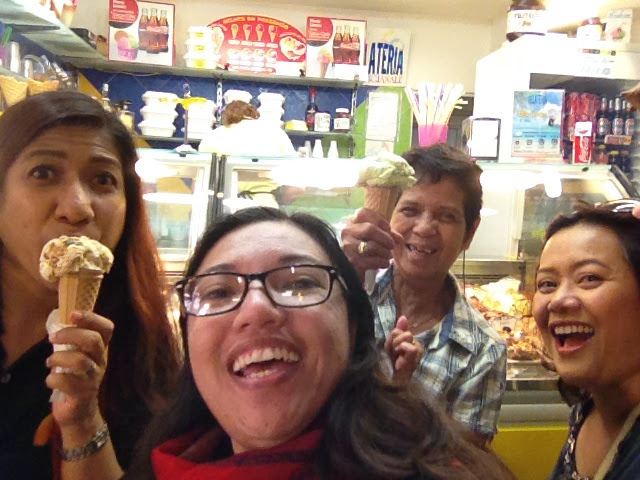 Gelato in Venezia, Steltze in Vienna, and more. Sent a postcard to your home. This I forgot to do during last year’s trip, but sending postcards back home is a good souvenir as well. Take lots of photos and videos. I also take notes at the end of the day, so as not to forget what I visited. I use Google Photos to save photos online and free up phone memory space to take even more photos. 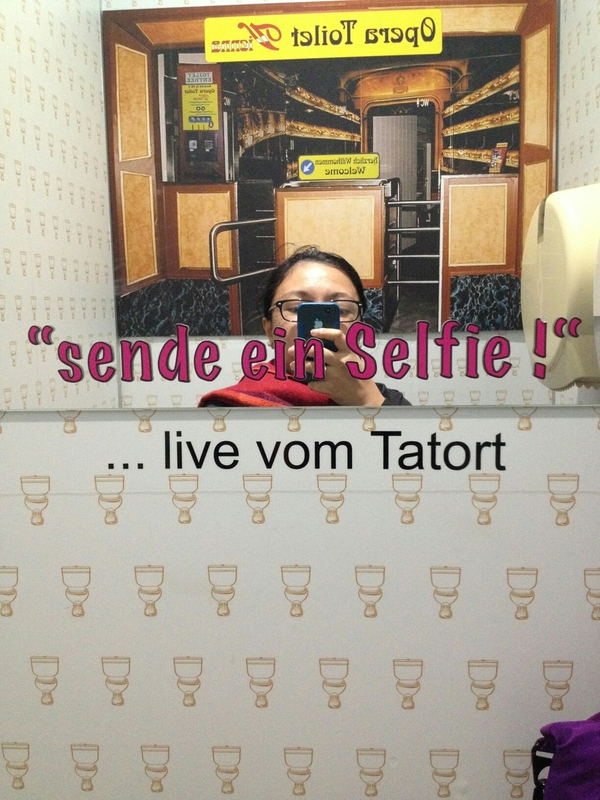 I take photos everywhere, even in the toilet. This in Vienna, Austria, called the Opera Toilet complete with Arias playing. Ready for the Euro trip? Buon Viaggio! Gute Flug! Happy trip.